The Texas Senate Finance Committee has approved a $195.5 billion budget, which continues to leave CPRIT funding out. However, there appears to be tacit approval from Senate budget writers for key CPRIT recruitment grants. The Texas Senate Finance Committee passed a $195.5 billion dollar budget for the State of Texas on Wednesday, including widespread spending on new programs that span education, law enforcement, and mental health services. The budget appropriation for CPRIT funding, however, remained conspicuously absent from the ledger. Finance Committee Chairman Tommy Williams, R-The Woodlands, didn’t ask for a formal vote but asked members to give a sense of how they would like the agency to proceed. “I think the agency is looking for some direction from the Senate Finance Committee before they proceed with these recruitment grants,” Williams said. 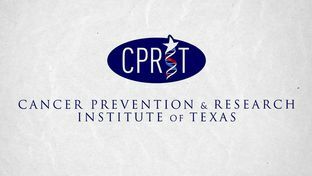 You’ll recall that news of the CPRIT recruitment grants unfolded on March 4th, when Interim CPRIT Chief Wayne Roberts formally asked the Governor and the Speaker to consider approval of these particular recruitment grants. After a misinterpretation by the Texas press, who assumed that the CPRIT funding freeze was being lifted, the media has had to walk the story back a bit, with the Texas legislature today demonstrating that even these recruitment grants will receive a great deal of scrutiny before being approved. Most likely, this slow, painstaking process is a harbinger of how future grant processes will be handled with more government oversight. Sen. Joan Huffman, R-Houston, said the recruits are “the best and the brightest” in cancer research and that it would be “shortsighted” for the state not to follow through on its commitment. “We need these people,” agreed Sen. Jane Nelson, R-Flower Mound, a leader on the agency overhaul.